Evidence of use in field (earth marking, cracking, staining, shrinkage): Some damage to base of shaft. 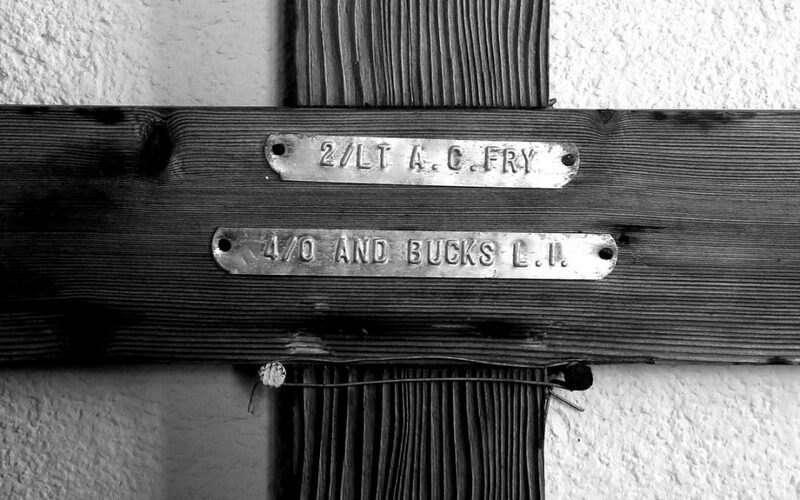 Arthur Charles Fry was seriously wounded by shellfire at Ablaincourt on February 28th 1917 and died of his wounds later that day or early the next. He had been in France for just six weeks. 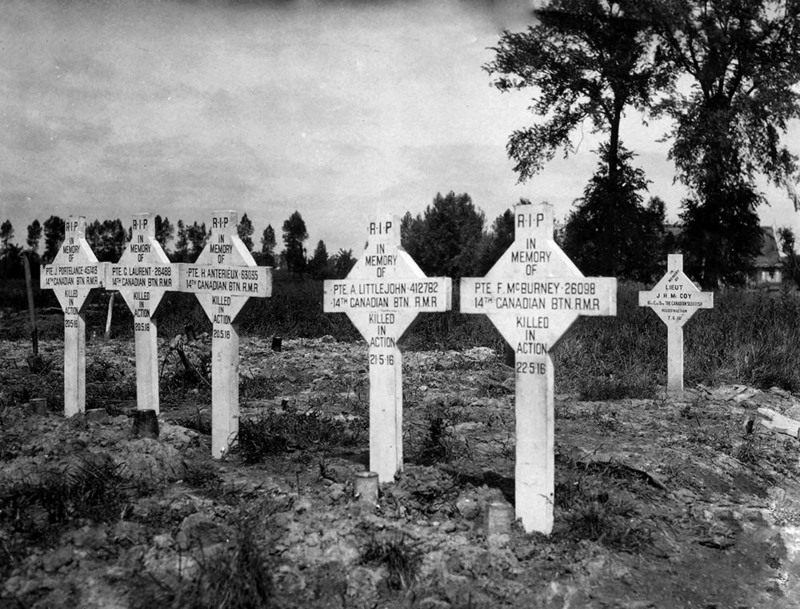 He is buried in Bray Military Cemetery near Albert in France. 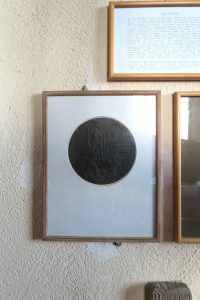 Fry’s cross, and probably his Dead Man’s Penny as well, were claimed after the war by the then Rector of St Ervan, Canon Wilfrid Johnson, a Prebendary of Bodmin. The 1911 census records Fry as living with Wilfrid Johnson in Derby while he was at school there. Johnson is described as his ward, although why he should have a ward when both his parents were still alive and living in Kent is not clear. It seems that Fry and Johnson remained friends up until the time of Fry’s death. In their small hollow deep in sycamores. I found St. Ervan’s partly ruined church. Hung from an elm bough by the churchyard gate. The “Little Guide” could say about the church. Impatient of my diffident response. Clearly the Rector lived here all alone. And he was right: most certainly I did. A worldly contrast with my afternoon. Betjeman spent a great deal of time in Cornwall, particularly round the Newquay area, and is buried in St Enodoc’s churchyard, only about ten miles from St Ervan by bike and ferry. Thanks to Mike O’Connor, Lay Reader at St Ervan, for the link to Prebendary Johnson and Betjeman, and much other fascinating information about the church as well.